Replace your broken or worn out stock belt tensioner dampener on your Supercharged MINI! 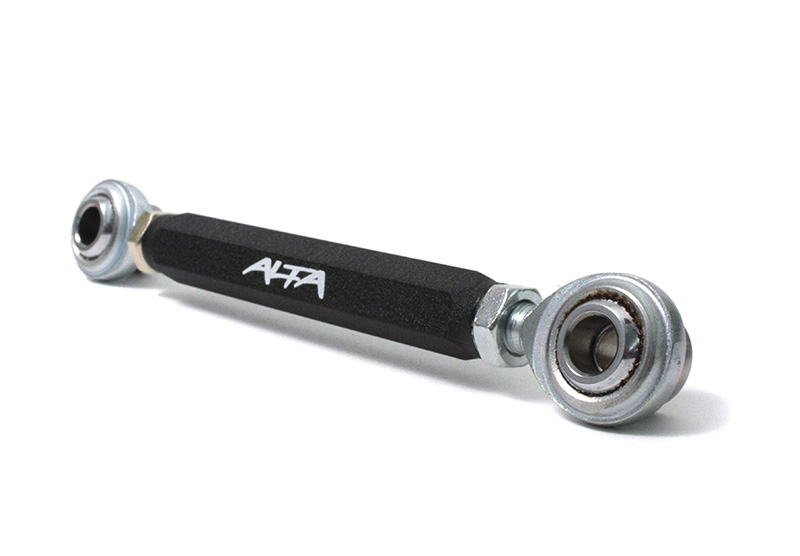 The ALTA Tensioner Stop is a very simple device that will outlive the life of the car! The OEM dampener is very well known to cause lots of problems on your 2002-2006 MINI. The bushings wear out causing strange noises and dampener failure. When the dampener wears out, it causes instability in your your belt tension, premature belt failure, shortened life of bushings and tensioner spring, and slippage under full throttle. Also, the OEM dampener can't protect your crank pulley and related parts from getting destroyed in the event a belt fails. 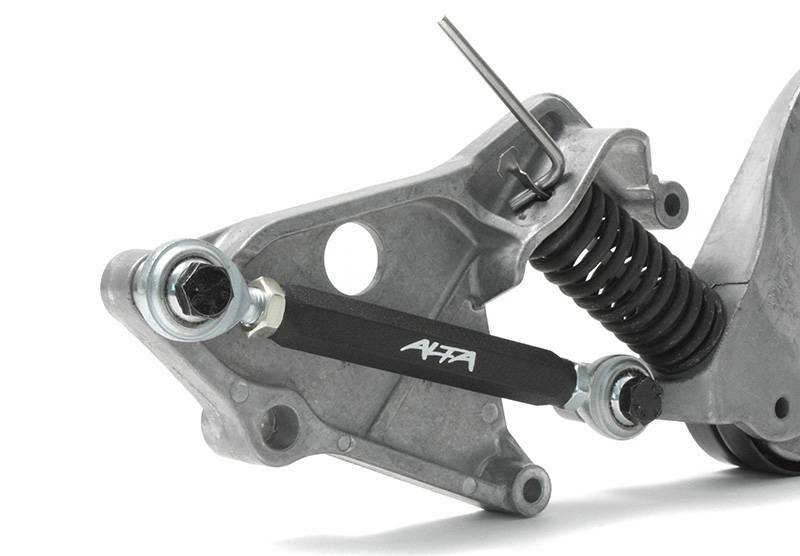 When you replace the OEM hydraulic dampener with the ALTA Tensioner Stop, more tension is added to the belt. The ALTA Tensioner Stop eliminates tensioner bounce and adds more tension than the OEM dampener, allowing better performance and response under extreme driving conditions. 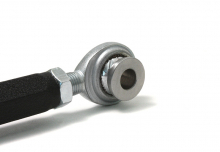 To read a full article on the benefits of the Adjustable Tensioner Stop and consequences of not having one, click here. 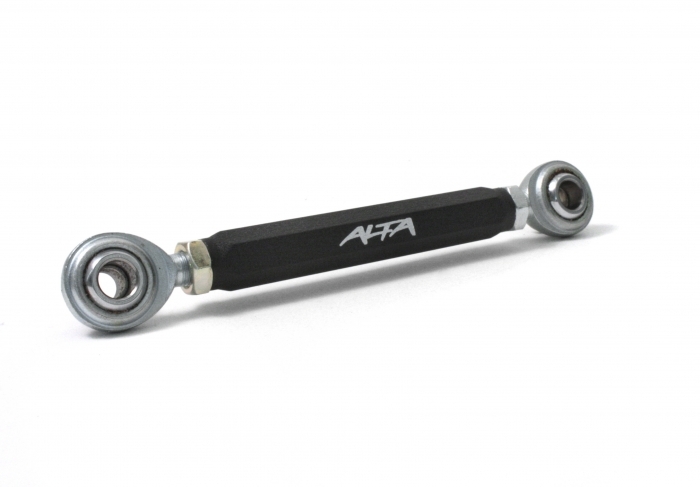 Why do you need an adjustable ALTA Tensioner Stop? At some point in your MINI's life, the serpentine belt that drives the Supercharger and AC, will fail. When it fails, the OEM belt tensioner mechanism plunges into the crank pulley, destroying the tensioner and crank pulley. The adjustable ALTA Tensioner Stop simply replaces the original tensioner dampener, holding onto the tensioner arm preventing damage when the belt fails. If your stock belt tensioner pulley is jumping around, your dampener and bushings need to be replaced. This is common on MINI's that have 50K miles or more. You have to buy the whole assembly ($250) to get a new pulley dampener. You can remove this problematic part, install the ALTA Tensioner Stop, save yourself tons of money in repairs and never have to deal with this problem again. 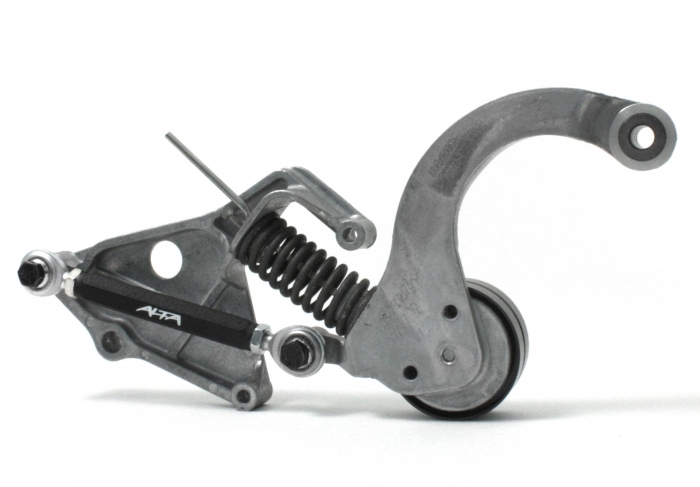 The ALTA Adjustable Tensioner Stop is a breeze to install and only requires the motor be jacked up slightly. The tensioner assembly does not need to be removed as the installation can be done right on the engine, saving you about 30 minutes of shop labor to install it!